It's the end of Vegan MoFo and you want to go on vacation! But what will you do with your SCOBY? Will it stay alive? 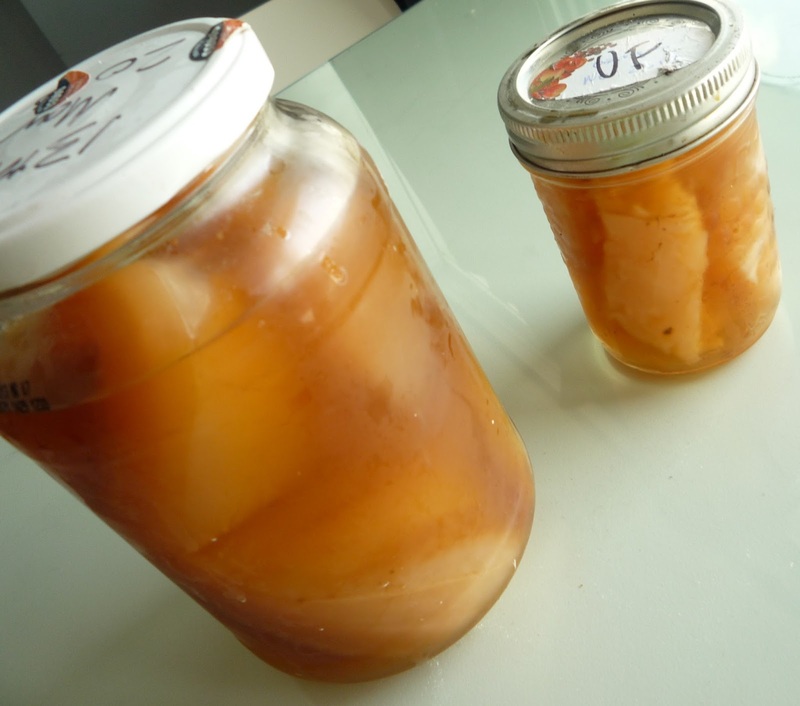 Will you have to repurchase/regrow a new SCOBY when you return? 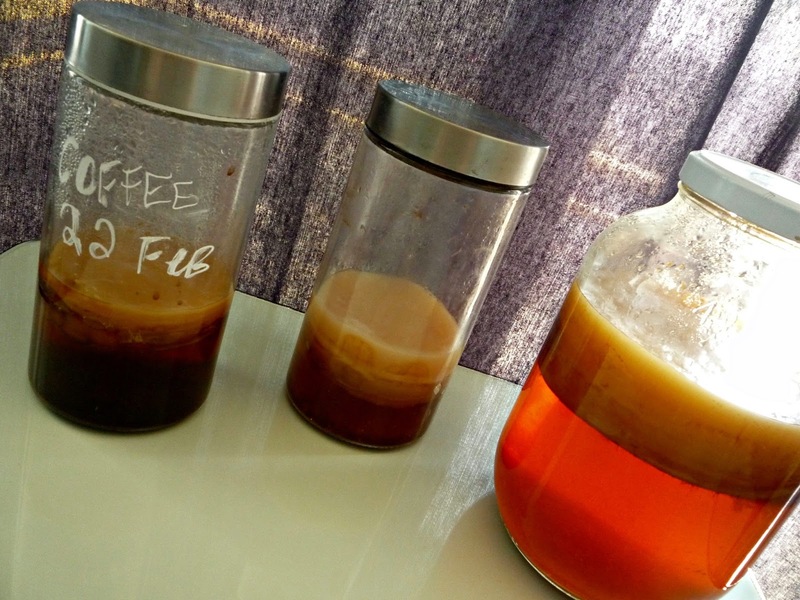 There are three options for SCOBY storage while on vacation. 2. SCOBY Motel - Extraneous SCOBY can be stored in a jar in the fridge covered with a mixture of fermented and unfermented tea. These SCOBY will slowly ferment - getting larger and consuming the unfermented tea. I cannot seem to throw out a nice, white SCOBY so I have a few motel's in my fridge. 3. Just leave 'em - The easiest option is to simply leave your kombucha fermenting. When you get back your tea might be vinegary (but there are uses for that!) but your SCOBY will be huge, healthy, and ready to start a new batch! After a one month vacation I cam home to these huge SCOBY!